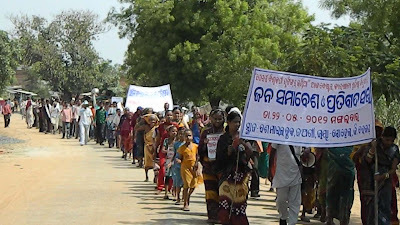 About 500 people, including women and children, participated in protest demonstrations against the proposed Asbestos Cement Sheet factory at Naagaon-Lebidi villages of Sohella Block in Bargarh district of Odisha, India. The people living in the area have been resisting the company (Vishwakarma Roofings) since the very beginning day of the Environment Public Hearing day last year September. 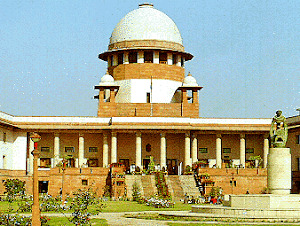 Initially as more than 68 people from the 80 participants resisted and went against the company in the hearing itself. 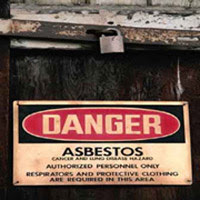 The company representative said that they would not proceed with their plan to set up an asbestos cement sheet factory, as the people are against asbestos. The project remained dormant for about half a year, but last month, the company started to put up fencing and commence some construction work. Seeing the progress, people of the nearby villages were getting angry at the district administration - how they are allowing such a nuisance and public health hazardous company in the populated area, where there are more than 10 villages within a 2 kilometer radius, including water bodies, schools, agricultural fields and a Central Government food Warehouse. So people called for a demonstration and agitation against the company's proceedings and today they gathered by the side of the National Highway 6, at Dus Mile Chowk, about 7 km.s away from Sohela Block. After holding a public meeting, they rallied against the company, walking to the project site, where the company has procured about 18 acres of land and has started its work. The people took down all the wire, poles and burnt a temporary hut, made up of wood. 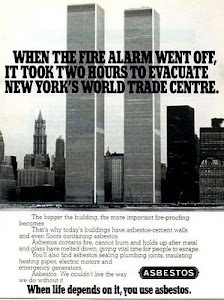 They also warned the company that any future activity to construct the asbestos factory will face the same consequence; they will be shattered to ground. In the mean time the company has been spending a huge amount of to try to buy support. 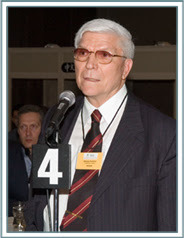 The resistance to the asbestos company is on rise in the entire area, as more and more people are coming to know about the mass hazardous subject. The company has an initial budget of INR 30,00,00,000/- and was supposed to expand after its initial startup. 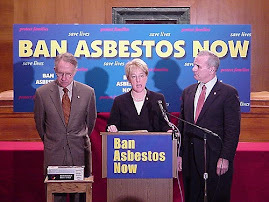 It already has 3 factories and has been importing asbestos from Canada to those factories in other parts of the nation. 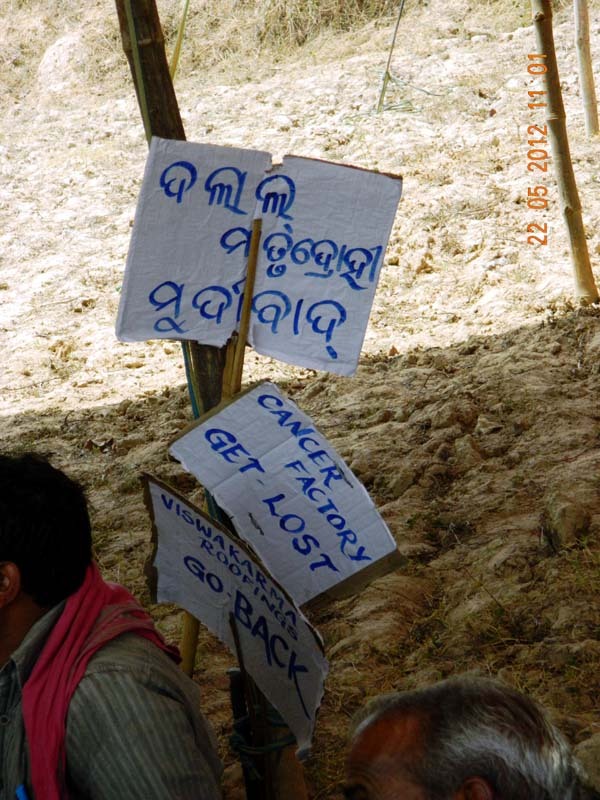 It is observed that already there are cancer related deaths increasing across the region due to increased pesticide usage for the hybrid paddy crops and now if the asbestos factory goes ahead, it will definitely increase the numbers of mesothelioma and asbestosis cases.